Real Italian gelato is coming to you ! If you don’t know me, I am italian. I am not a big fan of sweets, but man, I love gelato. Gelato is not the american ice-cream, gelato is served at a higher temperature, it is smooth and creamy, has less butterfat and sugar and it is a real treat. Can you imagine my frustration, I have been to the US now since 2007 and I cannot find a good gelato. Besides, my daughter is 4 and she loves ice-cream. So we HAVE TO visit ice-cream places at least once a week … and I am not really happy with what we find. You can understand my enthusiasm when I discovered Repicci’s. 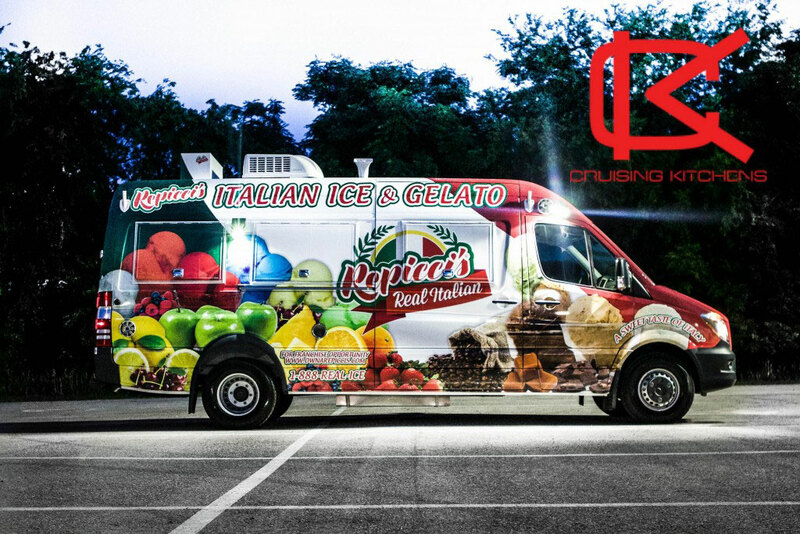 A mobile ice-cream model that offers real italian gelato and italian ice. I have not had yet the pleasure to try it, but look at this video, the reporter is melting all over it (pun intended !) : https://www.youtube.com/watch?v=MGzvk7lOlJs. The quality of the product is great … and typically grown ups are the big fans of Repicci’s. Repicci’s has been around since 1998 and franchising since 2002 with trailers and stands. They have been working on their mobile concept since 2012 and they started franchising the mobile concept this year. The truck is a diesel Mercedes sprinter van equipped with the best refrigeration equipement on board. Take a look at this video : https://www.youtube.com/watch?v=tojRxplF4aI and note that the reporter is still melting over the product. Ha ! So the beauty of this business is that it is very simple to operate. The manufacturing of the ice-cream is done by the franchisor in a state of the art, FDA approved facility in Tennessee. You can ger your gelato delivery roughly a week after you order it and it’s made fresh ! The shelf life of the product is about two years when maintained at the right temperature. The only thing you need to do is open the containers and start serving ice cream or italian ice ! There is no waste by the way. We are having a real food truck craze all over the US, so you will find events where to go as well as catering for businesses. You can run your foodtruck every day. Your expenses are limited and oh, the royalties are only $300/month. So what’s the cost to get into business ? You need about $50,000 cash and if you have good credit you can lease the truck for 6 years for about $2,000/month. Compare that with having an ice cream parlor, having to spend a minimum of $150,000 to start and then spend $4,000 in rent every month. For me it’s a no brainer … What do you think ?